Weeks after Priyanka Gandhi’s formal entry in to active politics, BJP parliamentarian Harish Dwivedi on Saturday (Feb 9) took a jibe on the Congress leader claiming, she wears jeans and top in Delhi but dons saree and sindoor in UP. “Rahul fail hain toh Priyanka bhi fail hain. Jab Priyanka Gandhi Delhi mein rehti hain toh jeans aur top mein rehti hai aur jab shetra mein aati hain toh saree aur sindoor laga kar aati hain. (If Rahul failed then Priyanka Gandhi will also fail. Priyanka Gandhi wears jeans and top in Delhi but turns up in a saree and sindoor whenever she visits UP),” BJP MP from UP’s Basti, Harish Dwivedi said on Saturday, according to news agency ANI. This is not for the first time that BJP leaders have made such comments on Priyanka Gandhi. On January 30, Surendra Singh, BJP MLA from Rohaniya constituency of Uttar Pradesh dubbed the Congress president “Raavan” and his sister Priyanka Gandhi Vadra “Surpanakha” – the demons from Hindu epic Ramayana. “We all know that before Ram and Ravan fought in Lanka, Ravan sent his sister Shurpanakha. It looks like (in upcoming Lok Sabha elections), Rahul will play the role of Ravan, while as Ram, Prime Minister Narendra Modi is making India proud across the world,” Singh had said. Few days before Singh’s remark, BJP general secretary Kailash Vijayvargiya had also taken a dig at the Congress party and criticized them for using “chocolaty faces” to fight the upcoming Lok Sabha elections. 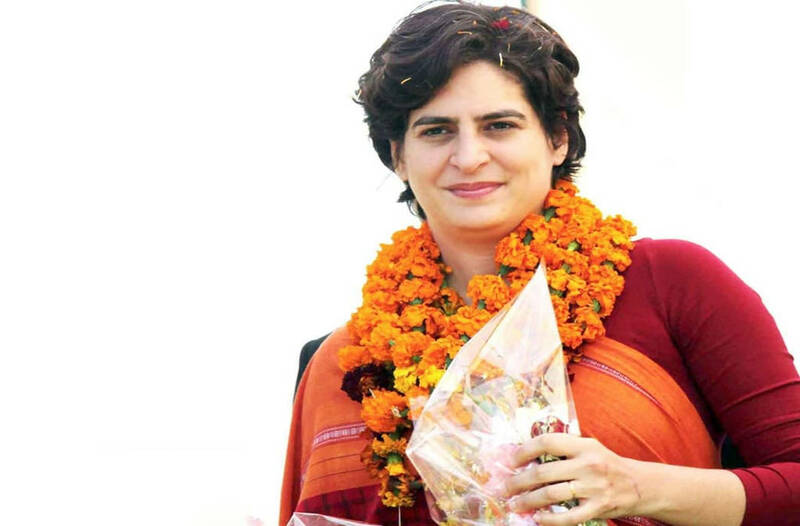 On January 25, Bihar Minister Vinod Narayan Jha took a dig at Priyanka’s political entry and said that “votes cannot be won on the basis of beautiful faces.” He further said that she is beautiful but does not hold any political achievement. Priyanka’s formal entry in to politics ahead of Lok Sabha polls is being criticized by the opposition parties ever since Congress President Rahul Gandhi declared her party general secretary for UP (east).